Today is our second post in our lighting series. 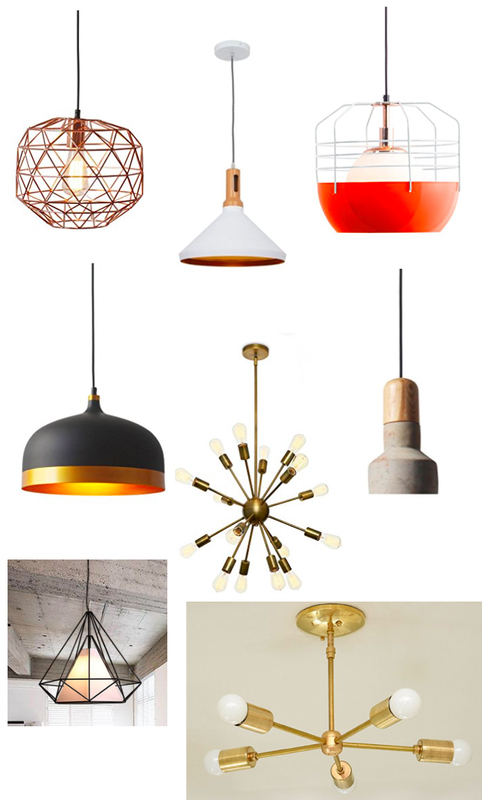 Last Friday we talked about chandeliers and fixtures for the kitchen and living room. Today, with smaller fixtures we are focusing on bedrooms and hallways. Many of these could be purchased in twos or threes and used lining the hallway. Or, hung alone in the center of the bedroom or playroom. The 5 arm brass sputnik is what we have in Dash and Sunny’s room. It is perfect since it doesn’t hang as low as the others. This was crucial for Sunny. I can just see him swinging from his bunk bed on of these pendants. HELP! In larger bedrooms and playrooms with higher ceilings, many of the lights in last weeks post would be a lovely fit as well! Remember to show us your updates with #smallfrylightfixtures on instagram!